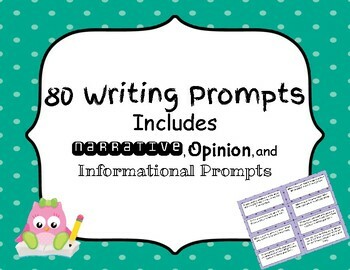 This writing pack includes 80 writing prompts and a writer's checklist. I also included a blank page of writing prompts if you would like to add your own. This pack includes narrative, opinion, and informational prompts. 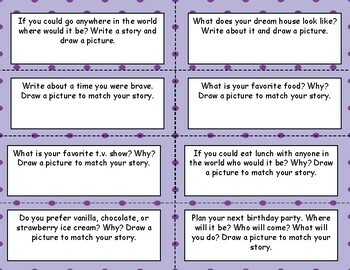 Each prompt has the student draw a picture with their story as well. 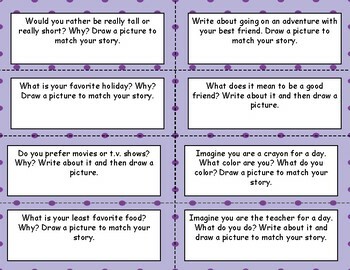 This will help encourage those students who do not have confidence in writing, so they can still tell their stories. 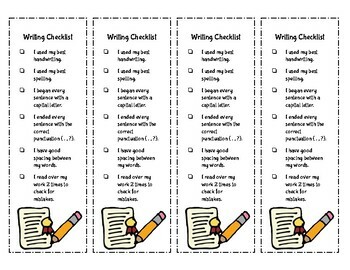 This is a great resources for the Daily 5 writing station, morning work, and even fast finishers. Just have them pull a topic and start writing.